If you or someone you know is contemplating suicide, please take immediate action. Call a suicide hotline. All assistance is free and confidential. 741741 for 24/7 crisis assistance. 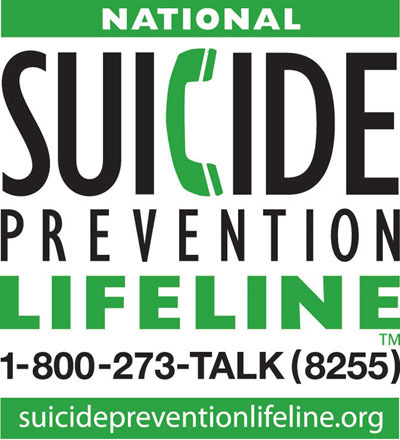 Suicide is the 10th leading cause of death in the US and each year 44,193 people die by suicide. . Kentucky has a higher rate of suicide than the U.S. and suicide ranks as the 11th leading cause of death overall. However, it is the 2nd leading cause of death for those between the ages of 10-34. In a recent statewide study that examined the circumstances leading to suicide death in Kentucky, relationship problems and intimate partner (IP) problems accounted for the largest proportions of death in youth ages 10 – 24 (42% followed by non-alcohol substance use (30%) and current mental health problems (29%) (National Violent Death Reporting System, 2013-2014). At Eastern Kentucky University, we want all of our students, faculty, and staff to be aware of the risk factors and warning signs of someone who may be considering suicide so they can identify someone who is in distress and help them to find the resources they need to get help. Some of those resources are located here on this website including links to the EKU Psychology Clinic and EKU Counseling Center, (both of which are located on EKU’s main campus). Other resources include the National Suicide Hotline at 1-800-273-8255, Suicide Prevention Lifeline Website, and other valuable web resources. Finally, we want our campus community to be aware of the myths and facts surrounding suicide and have increased knowledge concerning the protective factors that can buffer the effects of stress and decrease the chances that someone may contemplate or attempt suicide.